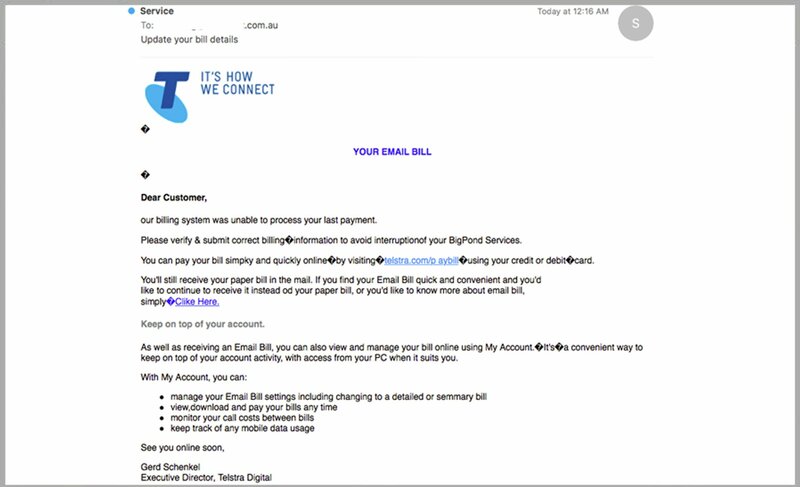 MailGuard has detected a new email-based cyber-attack using Telstra branding to try and deceive victims. As you can see from the screenshot above, this email scam is quite well designed and makes use of extensive graphical elements. 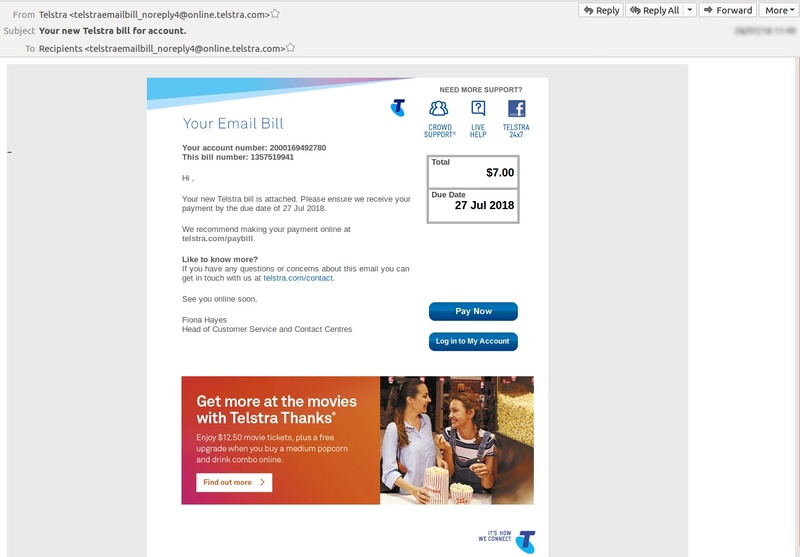 MailGuard has detected a new phishing email attack brandjacking Telstra. Phishing is one of the most common and harmful cybercrime types. 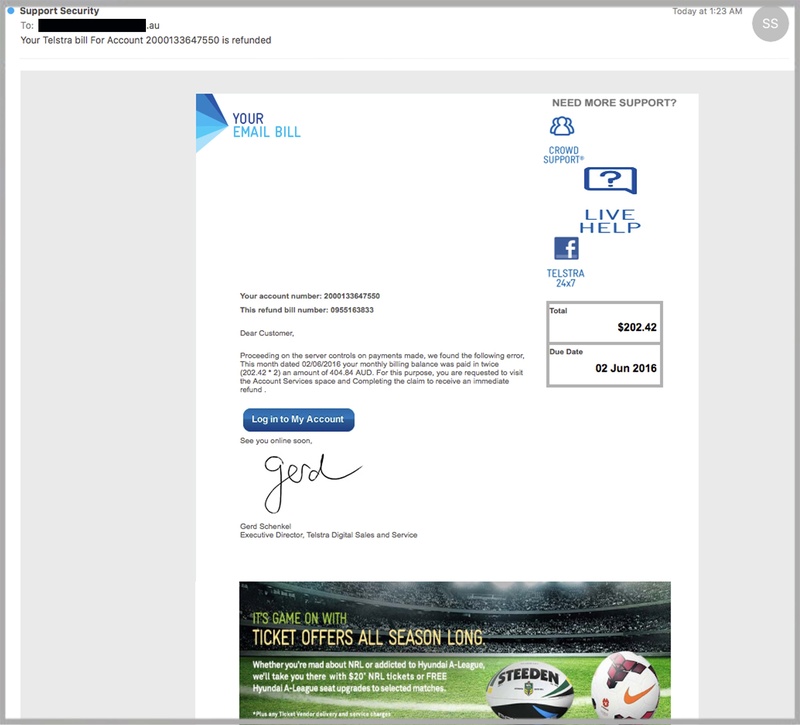 The sophistication of these email scams varies a lot, from simple plain-text emails to very realistic forgeries that are hard to distinguish from genuine email notifications. 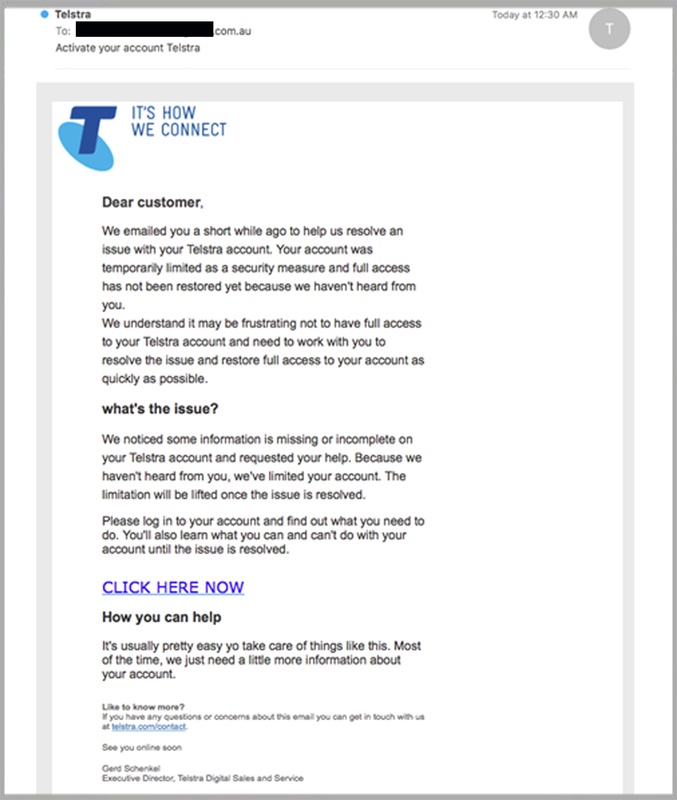 Yet Another Telstra Email Phishing Scam! Only days following an extremely well executed Telstra bill payment scam, this morning we have blocked yet another scam. 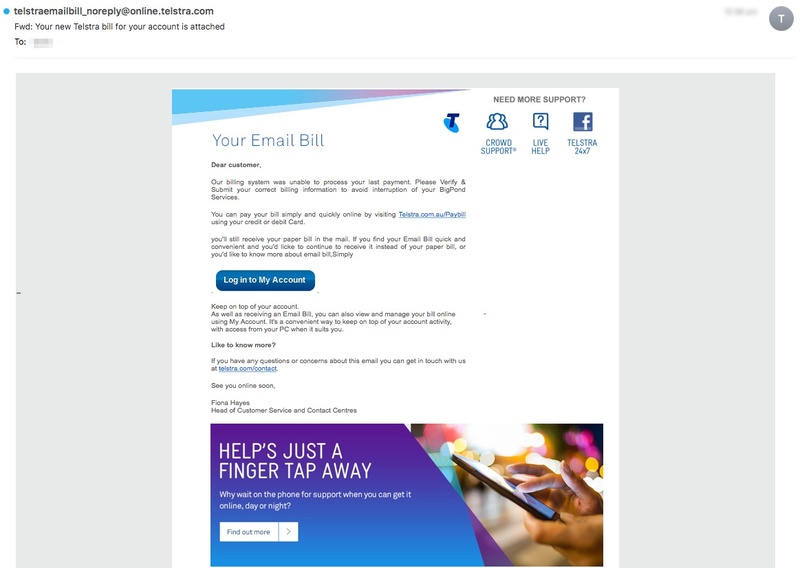 Telstra email scams are a regular occurrence in Australian inboxes. 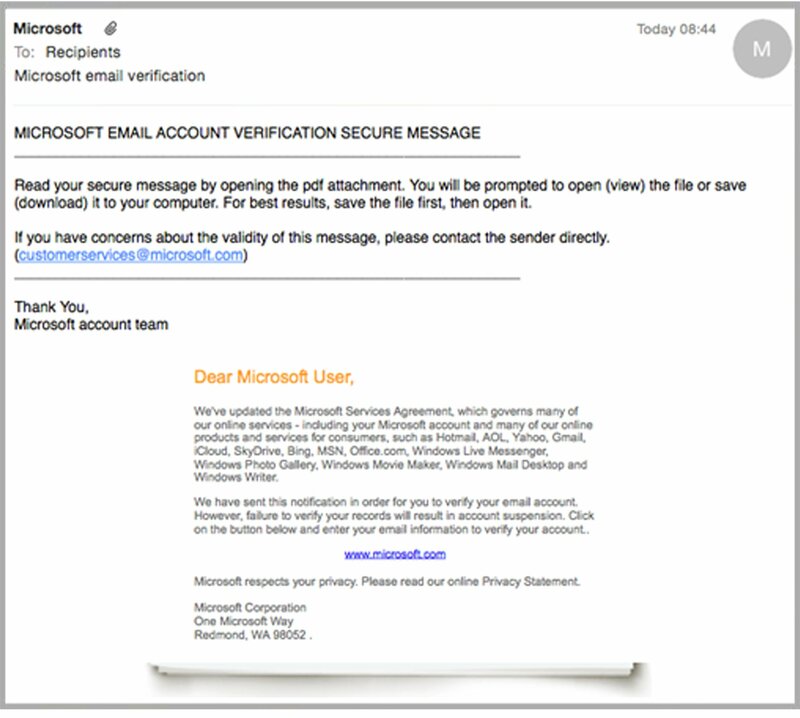 A new scam phishing email was circulating Thursday which was extremely similar to other recent variations. 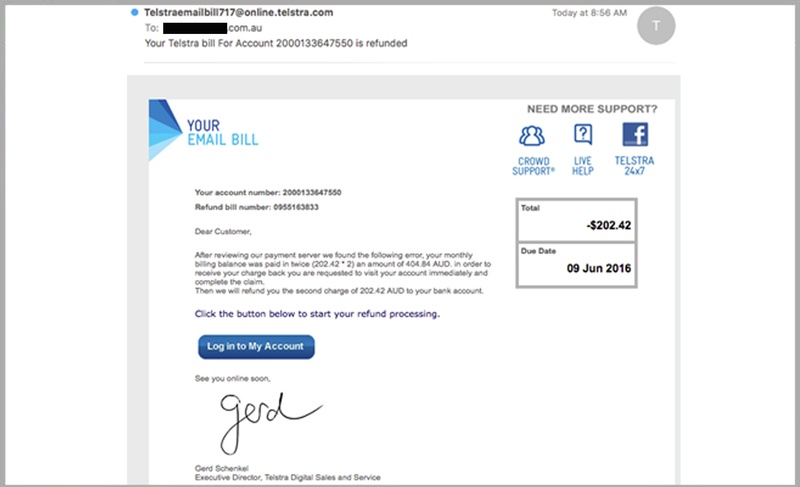 A new scam impersonating a Telstra Email Bill is very well executed and will be difficult for email users to recognise as a phishing email.